FOUNTAIN VALLEY, Calif., April 25, 2017 – The life-long journey to the NFL is on the verge of being completed for the prospects who will be selected this week at the 2017 NFL Draft in Philadelphia. This year, Hyundai’s multi-faceted Draft program, Rolling with the Rookies, is going beyond 40-yard dash times and bench press repetitions to profile four rookies in an original content series that highlights the people, places and experiences that shaped their journeys. Hyundai partnered with four future NFL rookies who are all projected to be taken in the first round in various mock drafts – Mitchell Trubisky, O.J. Howard, Mike Williams and Haason Reddick. During the lead-up to the draft, Hyundai filmed the prospects in their hometowns and talked with the people that helped make their dreams a reality, capturing their unique stories, from pee-wee football to high school through college. As part of the film, each player worked with famed cleat designer Marcus Rivero, aka SolesBySir, to design a custom vehicle wrap for a Hyundai Santa Fe, visually bringing their story to life. On the ground in Philadelphia, the NFL will welcome the newest members to its family from April 27-29, and Hyundai will have a Rolling with the Rookies activation inside the NFL Draft Experience. This will include the four custom designed Santa Fes, as well as interactive exhibits highlighting footage and memorabilia from each player’s life. In addition, Hyundai is also the presenting sponsor of Selection Square, which is home to the 32 team Draft tables and the location of Rounds 4-7. The mini-documentaries and all of the content for Rolling with the Rookies presented by Hyundai can be found at Hyundaiusa.com/NFL, on Hyundai’s YouTube channel and at HyundaiNews.com. Hyundai is entering its third season as an official NFL sponsor and the league’s official car and SUV. It also has relationships with six teams, including the Arizona Cardinals, Houston Texans, Los Angeles Rams, Miami Dolphins, Minnesota Vikings and Pittsburgh Steelers. Hyundai’s 2017 NFL Draft content and activation is managed by Advantage. FOUNTAIN VALLEY, Calif., April 21, 2017 – In celebration of Earth Day 2017, Hyundai Tucson Fuel Cell drivers have again surpassed an important threshold, accumulating more than two million miles on the roads and highways of both Southern and Northern California. These fuel cell CUVs have emitted only clean water vapor, and by so doing, have replaced approximately 760 tons of CO2 emissions that would have been emitted by vehicles of similar size and capability. Hyundai has delivered more than 140 Tucson Fuel Cell crossovers since its introduction as the first mass-produced fuel cell in the U.S. market in 2014. TUCSON FUEL CELL ADVANTAGESThe Hyundai Tucson Fuel Cell CUV has a number of advantages over some other alternative fuels. The energy-rich hydrogen fuel provides an estimated driving range of 265 miles between fill-ups, similar to many gasoline vehicles. Further, both fuel cell driving range and vehicle performance are minimally affected by either extreme hot or cold ambient temperatures, giving owners an extra measure of peace of mind as they go about their day. Even more important for consumers transitioning from gasoline vehicles, the Tucson Fuel Cell can be refilled with hydrogen in less than five minutes, about the same time as a typical gasoline vehicle. Finally, fuel cell vehicles, due to their compact, relatively lightweight fuel cell stack design, are completely production scalable from very small to very large vehicles, such as urban-focused mini-compact cars all the way to full-size buses and trucks. FOUNTAIN VALLEY, Calif., April 20, 2017 – Just prior to Earth Day 2017, Hyundai Motor America launched its new “Ioniq Unlimited+” electric vehicle subscription program for California residents. This innovative program offers a carefree way to drive Hyundai’s newest zero-emission, eco-focused vehicle; the 2017 Ioniq Electric. Electric shoppers in California are now able to select one fixed payment for a 36-month term. No other manufacturer offers this kind of subscription option for their electric vehicle offerings. Hyundai carefully designed the entire process to be the most transparent, stress-free and enjoyable vehicle subscription experience on the market today. SUBSCRIPTION PROGRAM PARAMETERSIoniq Unlimited+ provides zero initiation costs after rebate, where the customers’ initial $2,500 down payment is offset by the California electric vehicle rebate. This initiation fee includes all taxes (except California sales tax) and dealer charges, as well as the first monthly payment. The remaining monthly subscription payment is based simply on the Ioniq Electric model chosen. Ioniq Unlimited+, besides offering a hassle-free single-payment method, offers an entirely new concept of electric vehicle subscription that eco-focused shoppers will appreciate. It includes a unique online buying experience, where customers can select the exact vehicle from their preferred dealer’s inventory and preview the all-inclusive monthly payment online. Once they complete a credit application and are approved, they go directly to the dealership to complete the purchase. At the dealer, the shopper just signs a few forms and drives away in an Ioniq Electric. The tax, title, license, and dealer fees are included. Equally important to many EV customers, the Ioniq Electric will be HOV-sticker eligible, allowing Ioniq drivers to use carpool lanes on their daily travels. WORRY-FREE VEHICLE SUBSCRIPTION EXPERIENCEIoniq Unlimited+ owners can enjoy their full driving experience worry-free, because there are no mileage penalties during the 36-month subscription period. The program also includes reimbursement for electricity used by the owner, based on the number of miles driven, up to the first 50,000 miles. This electricity credit will be applied directly to the owners’ subsequent monthly payment, for immediate monetary benefit to the customer. Even more, all service, maintenance and wear items on the Ioniq Electric are also included during the first 50,000 miles, further enhancing the worry-free experience. The Ioniq Unlimited+ program creates an entirely new means of mobility that addresses the major, well-known stress points associated with traditional automotive leases. The Ioniq Electric initially will be available to Los Angeles/Orange/Riverside county residents only, expanding to Northern California and San Diego later this year. The Ioniq Unlimited+ subscription program is only available to California residents. IONIQ ELECTRIC PURCHASING OPTIONSFor those customers who are interested in a more traditional buying experience, a direct purchasing option is available for the Ioniq Electric. The purchasing options include Hyundai’s industry-leading Lifetime Battery Warranty and America’s Best Warranty for the entire Ioniq powertrain, to the original purchaser. FOUNTAIN VALLEY, Calif., April 19, 2017 – Ahead of Earth Day 2017, Hyundai’s 2017 Sonata Hybrid and Plug-in Hybrid (PHEV) models and 2017 Ioniq Hybrid and Electric models have been recognized by Kelley Blue Book as some of the top eco-friendly vehicles on the market. 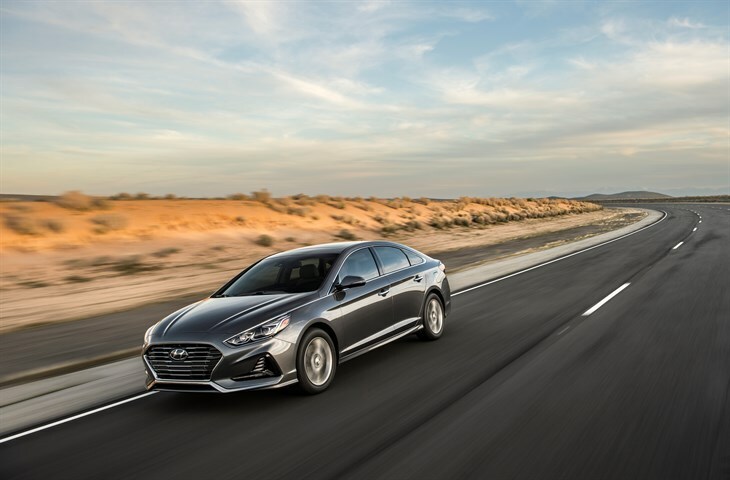 Both the Sonata and Ioniq were included in the Top 10 Best Hybrid Cars under $40,000, while the Sonata PHEV and Ioniq Electric were recognized as top five at the same price point in their respective categories. NEW YORK, April 13, 2017 – Hyundai’s Blue Link Agent for the Google Assistant, demonstrated at Pepcom’s Digital Experience prior to the 2017 Consumer Electronics Show (CES®) is now available for use by Hyundai owners. The announcement was made during a press conference at the New York International Auto Show today. How It WorksTo send commands to the Hyundai Vehicles via the Google Assistant on Google Home, engineers developed a way to link a customer’s Blue Link Account with the Google Assistant voice activated services. 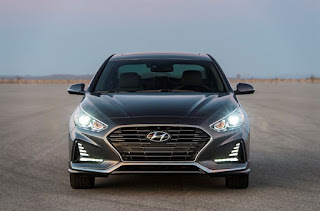 Once a customer has successfully linked his or her account, Remote Service commands will only be sent to Hyundai vehicles after the Google Assistant prompts owners for their Blue Link Personal Identification Number (PIN). FOUNTAIN VALLEY, Calif., April 13, 2017 – Remote door lock, Remote Start with Climate Control and the Monthly Vehicle Health Report are among the Blue Link services Hyundai Motor America will make standard via smartphone, smartwatch and Amazon Alexa for three years. Hyundai Motor America announced the updated standard services packages for Blue Link-equipped 2018 Hyundai vehicles and 2017 IONIQ models. 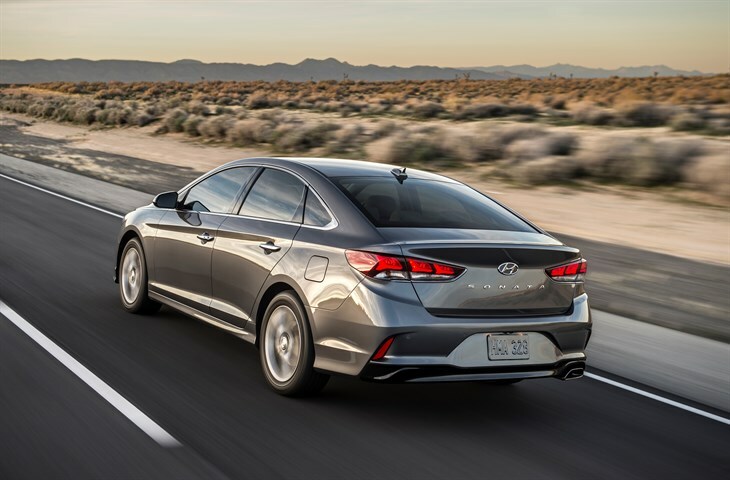 The rollout of the standard services will begin with the launch of the 2018 Elantra GT, Santa Fe Sport and redesigned 2018 Sonata models. The redesigned 2018 Sonata debuted at the New York International Auto Show today. In addition, Hyundai has also enhanced the Blue Link Remote Start with Climate Control feature to include control of the rear defroster and heated side mirrors for 2018 Elantra GT and Sonata. Hyundai is going above and beyond the competition by making key Blue Link safety and security features like Automatic Collision Notification, SOS Emergency Assistance and Stolen Vehicle Recovery standard to subscribers. These important features include immediate access to the Blue Link Emergency Response Center in the event of an accident, faster connection to emergency services and 24/7, 365 days/year access to emergency assistance via the dedicated SOS button. Blue Link can also assist the police in locating and recovering an owner’s stolen car. 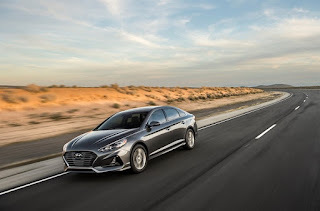 In addition to making the current features standard, Hyundai will tackle the inconvenience of outdated map software by offering free downloads to maintain up-to-date navigation programming on the system’s SD card via the MyHyundai website. The complimentary updates also will be available for three years as part of the Guidance Package. FOUNTAIN VALLEY, Calif., April 11, 2017 — The road to efficient, eco-conscious performance starts with the Hyundai Ioniq. The world's first dedicated vehicle with three electrified low- and zero-emission powertrain choices, the Ioniq Hybrid boasts an EPA-estimated 58 MPG (combined), making it the most efficient vehicle in the U.S. market without a plug. Even the interior is constructed with the environment in mind, crafted from renewable materials such as bio-fabrics and recycled plastics. In the following infographic, Hyundai outlines how the Ioniq models help reduce both fuel and electricity use, while still getting you where you need to go — wherever that may be. Hyundai is looking to a new generation of car buyers as it rolls out a trio of powertrains under the same eco-friendly banner. That vehicle, the Ioniq, was on display Friday during a press event at the company’s Hyundai America Technical Center headquarters in Washtenaw County’s Superior Township.The Ioniq comes in three flavors of electric – hybrid, plug-in hybrid and full electric – and the company is touting the car’s green credentials, which it expects to appeal to changing generational tastes. “Ioniq will attract an entirely new group of eco- and efficiency-oriented buyers in the U.S. market,” according to Mike O’Brien, vice president of Corporate and Product Planning for Hyundai Motor America. That openness reflects a “societal sea change” that the company expects to “transform the automotive marketplace.” That transformation is expected to include more urban living and a preference for vehicles with technology that can keep people connected. Those predictions come at a time when consumer tastes have shifted more toward trucks and SUVs, but the company is looking toward a future when the Millenial generation dominates the marketplace. O’Brien indicated other factors will influence the marketplace in the short term. Whether or not the Trump administration relaxes fuel economy standards will not be an issue for automakers until after 2021. That — and requirements in California and several other states for so-called zero-emission vehicles — mean electric vehicles will continue to have a place. But customers have to want to buy the cars, O’Brien said, noting that the company tried to make the compact Ioniq drive like a standard vehicle, one that is touted as the first on the market to offer three powertrains on one dedicated platform. The Ioniq plug-in hybrid promises an all-electric range of more than 27 miles. And the Ioniq Electric’s lithium-ion polymer battery touts a driving range of 124 miles. The Ioniq Hybrid and the plug-in Hybrid use a dual-clutch transmission to engage the driver for a “spirited and fun-to-drive character,” according to the company. The vehicles also offer sport and eco modes. Appealing to the green car segment, the Ioniq "uses eco-focused interior design materials," including bio-fabrics and recycled plastics with sugar cane and volcanic rock derivatives. The Hybrid is available now, the Electric will roll out first in California this month and the Plug-in Hybrid is expected to be available in the fourth quarter of this year. Pricing on the hybrid starts at $22,200 and the Electric at $29,500 before the $7,500 federal tax credit. Pricing is not yet available on the Plug-in Hybrid.